The San Jose Blog: The Big Lebowski is Playing in SoFA Tonight! The Big Lebowski is Playing in SoFA Tonight! "Always a crowd favorite, The Big Lebowski returns to the SoFA district in Downtown San Jose on July 6th. 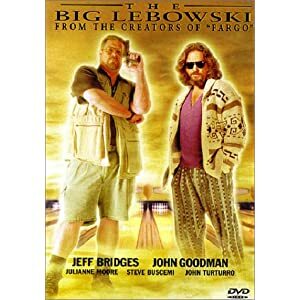 Brothers Joel and Ethan Coen write and direct a hilarious tale about "Dude" Lebowski, who gets his friends to recover damages for his ruined rug. It's a case of mistaken identity - Dude is not the millionaire others think he is. Starring Jeff Bridges, John Goodman and Julianne Moore. Big Lebowski costume and impression contest. Local band Bobby Joe Ebola and the Children MacNuggits. Agenda Sports Bar (399 S. First St.) - 2 for 1 drink specials. The Blue Chip Sports Bar and Family Restaurant, ALL AGES (325 S. First St.) - $2 Tecate or DosXX and free fries with purchase of any Cheesesteak. Caffe Trieste, ALL AGES (315 S. First St.) - Happy hour prices all night on food and drink specials. Eulipia Restaurant and Bar, ALL AGES (374 S. First St.) - $3 White Russians and $10 off the entire check for anyone in Lebowski attire... The Dude Abides. South First Billiards (420 South First Street) - $5 The Dude's Beverage (White Russian); $5 Nobody F's With The Jesus (Coconut Rum, Pineapple, Cranberry); $5 Beyond Pacifism (Deep Fried Artichokes). Take advantage of San Jose's warm, summer nights and enjoy a complimentary movie under the star-studded sky with your friends. To see the full Starlight Cinemas line-up, please visit their website."